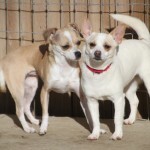 Charo is a year old Chihuahua and maybe Jack Russel mix female. She weighs in at nine pounds and is full grown. 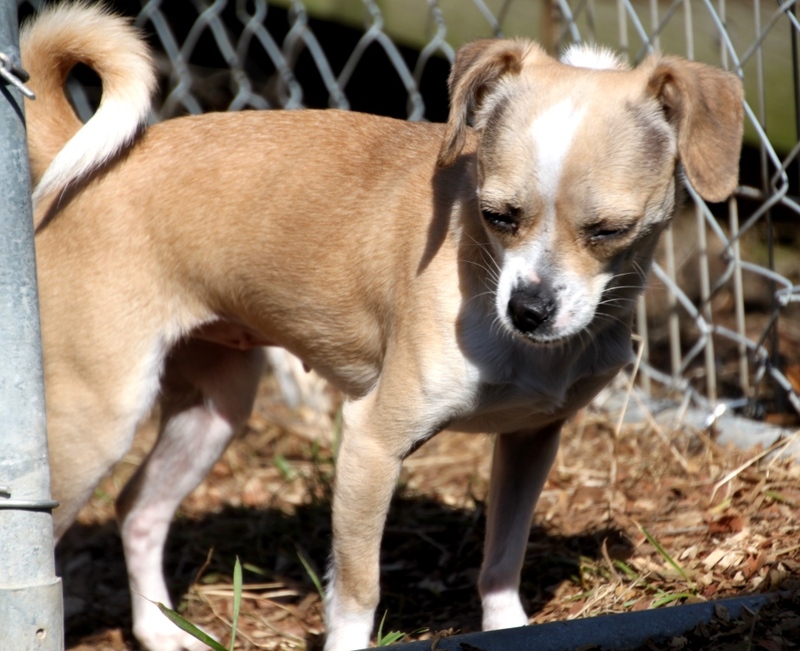 She is white with some tan markings. 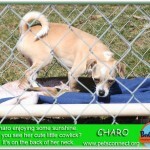 Charo has a cute, one of a kind, cowlick on the back of her neck. Charo likes her crate and she appears to be house trained. She has done well in the house but we may be just letting her out at the right times so to speak. 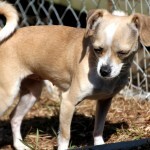 Charo is good with other dogs but would do fine as a one and only. We have not had her with cats but I think she would do fine. 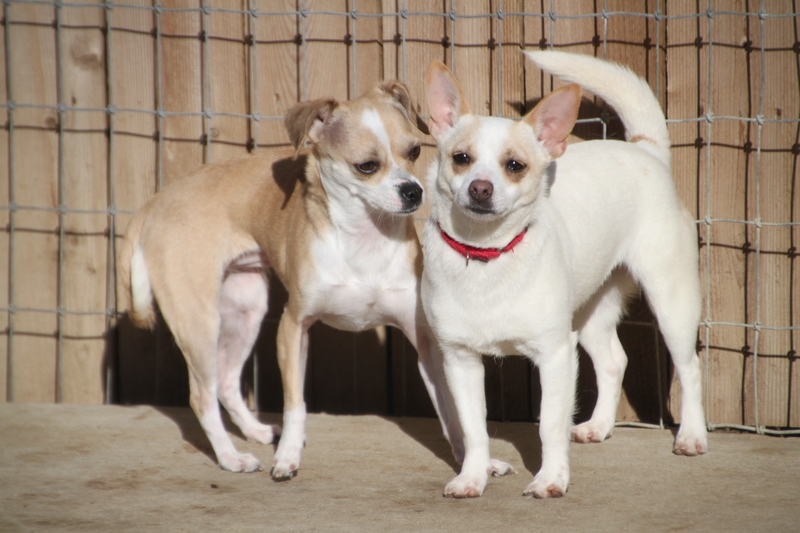 There are no children in her foster home so we are not sure about youngsters. I would think older children would be fine as long as they don’t try to pick her up. 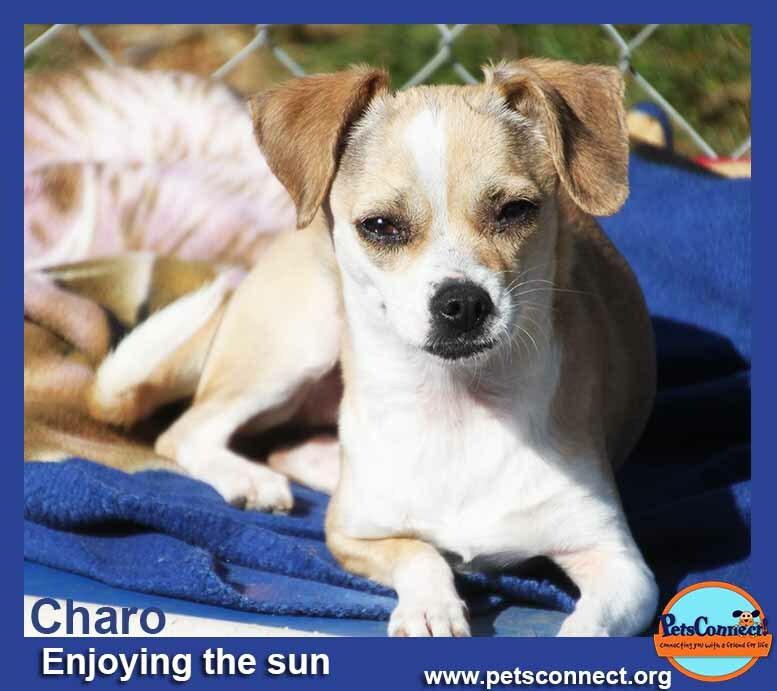 Charo is sweet and enjoys attention. While she does like to be petted, she is not a needy dog. This pup will need someone to work with her in a couple areas. First, she needs work on recall, coming when called. 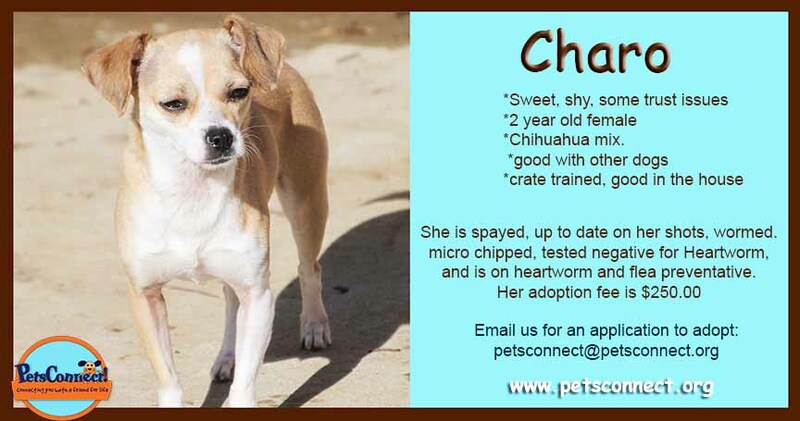 Second, Charo also needs work on being picked up. When picked up she goes a bit stiff but then will settle down. She has scratched us at times when we pick her up. She learns quickly and picks up schedules fast. A little fenced area would be nice for Charo to be outside. She would be great for one of those condos that has a little fenced in patio area. 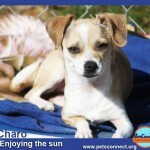 Charo would be good for a home where the pace is a bit slower. Leash and Collar or Harness: a Lupine brand red leash is provided. Lupine has a life time guarantee; if chewed, the company will replace it free of charge. Charo comes with a snap/combo red collar.